Don't you love it when a project turns out better than you ever expected? I'm not talking about today's project (yet), but the lucky horseshoe link bracelet that I made last week. It is my favorite bracelet right now. It's comfortable, pretty, the perfect size and most of all, it's slinky. On the down side, it's a little plain though. There are several options to spice it up, such as adding beads to make a charm bracelet. I definitely plan to do that in the future. But for now, I decided to follow a similar path that I did with the infinity link bracelet. Add a pretty handmade clasp that follows a theme - and provide step by step instructions. 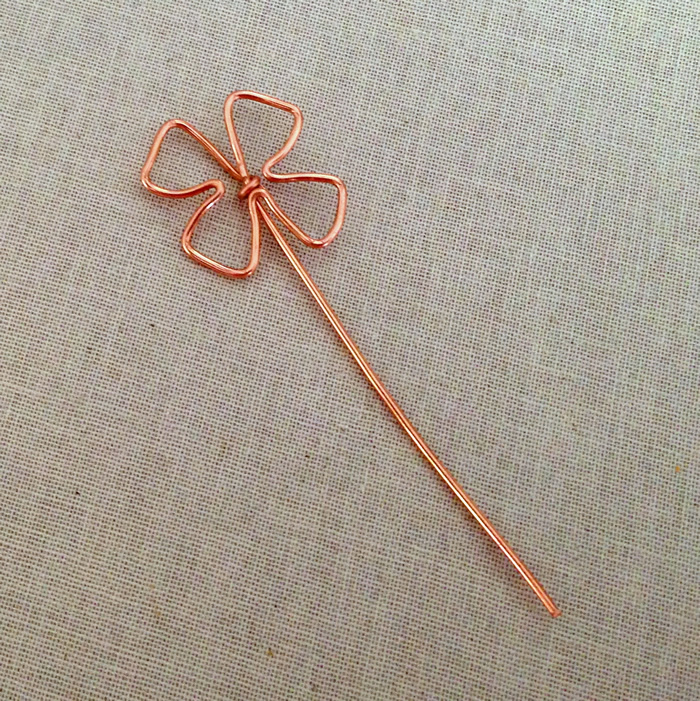 In this case, the theme is luck - so I decided to make a wire four leaf clover. Measure about 2 inches from the end of the wire. 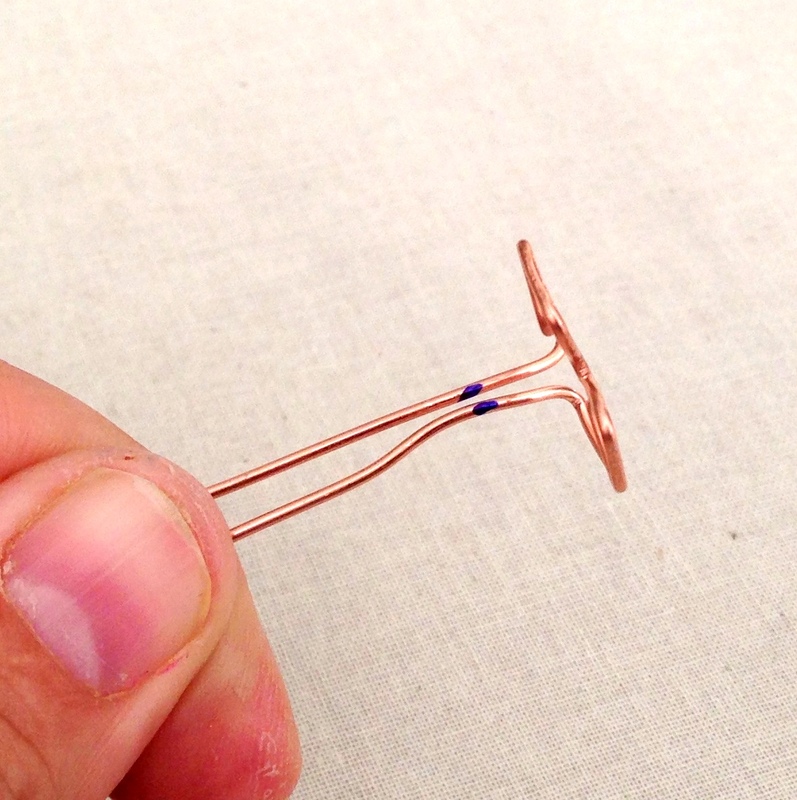 The amount of wire you leave on this end becomes the stem or a piece or wire to make a loop, so judge accordingly. Note that the pliers in the picture above are the ones I used for most of the 4-leaf clovers you see in the pictures, but I found it much easier to photograph using flat nosed pliers. It makes it easier for you to see the wire. 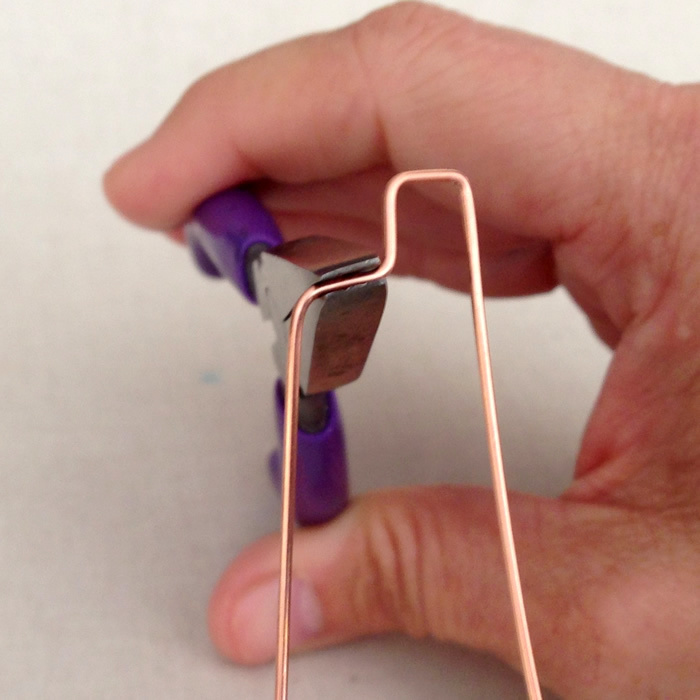 Make a right angle bend with the widest part of your chain nose pliers (down near the joint). Then bend the other side of the wire over the chain nose pliers so you have an upside down U shape. This U is one leaf of the 4 leaf clover. 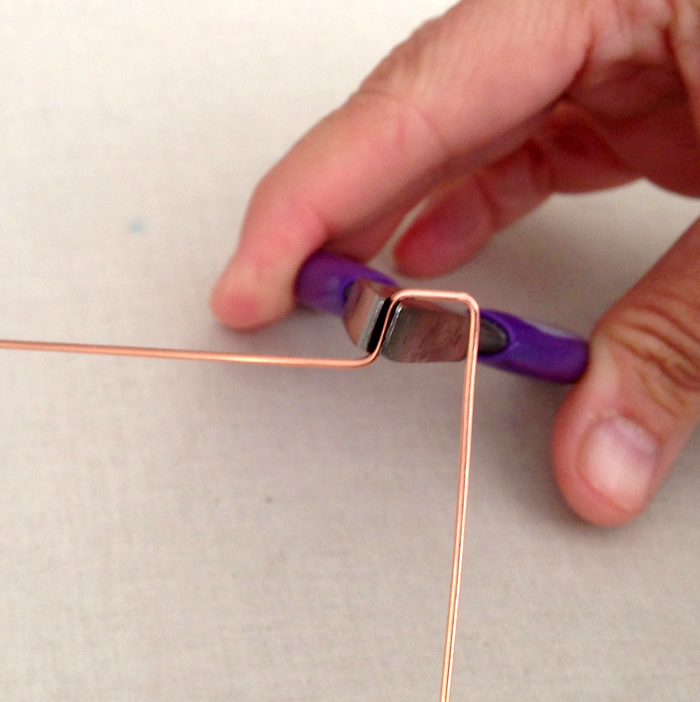 Move your pliers down the wire and make another right angle bend. Try to keep the angles crisp and the sizes even. 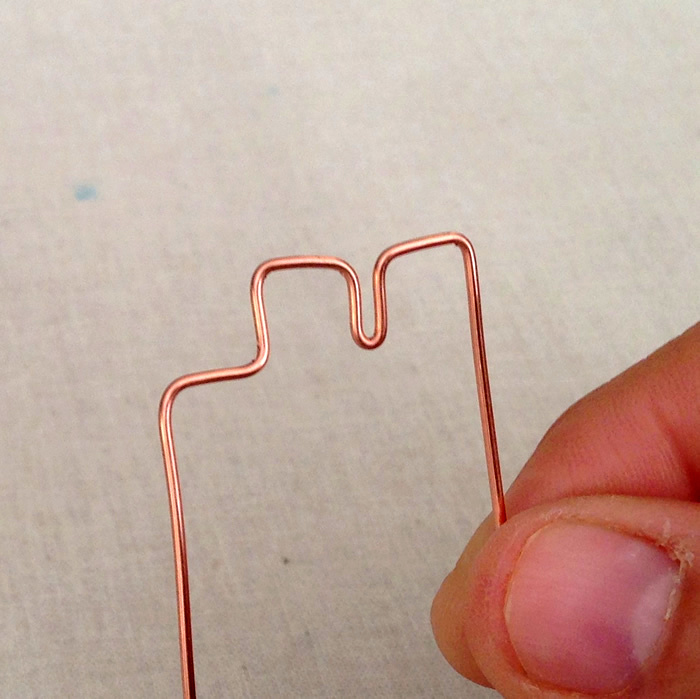 Make one more bend so the wire looks like a step. Here is another view of the step shape. Squeeze, the last angle so the wire is moving closer together. I hold the wire and push the other side up to meet. Then I squeeze the two wires together. This squished V will form the space between the leaves of the 4 leaf clover. Continue to make new right angle steps and squeeze them into V shapes until you have a shape that will have 4 leaves. I know it doesn't look like much at this point, but here is where the magic happens. 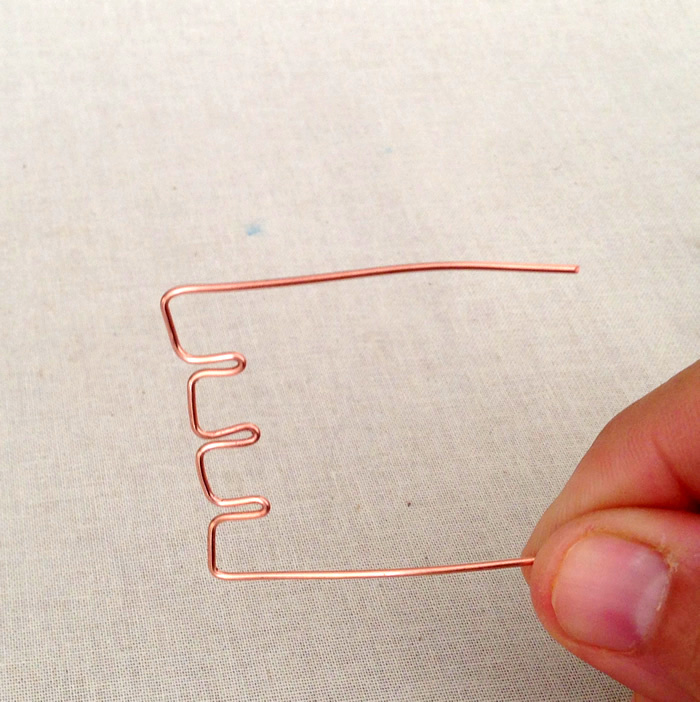 You are going to shape the leaves by squeezing the bottoms of the wire Vs towards each other. Now they are starting to look a little more like leaves! But they are too squished together. Pull the leaves apart by separating the V spaces between the leaves gently pulling the shape into a full circle. 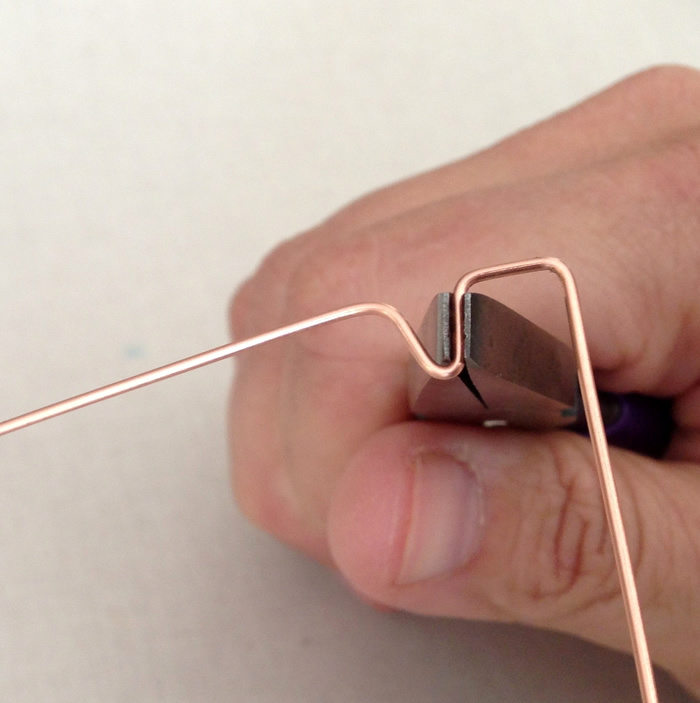 As you make the shape, keep both ends of the wire on the same side of the project. 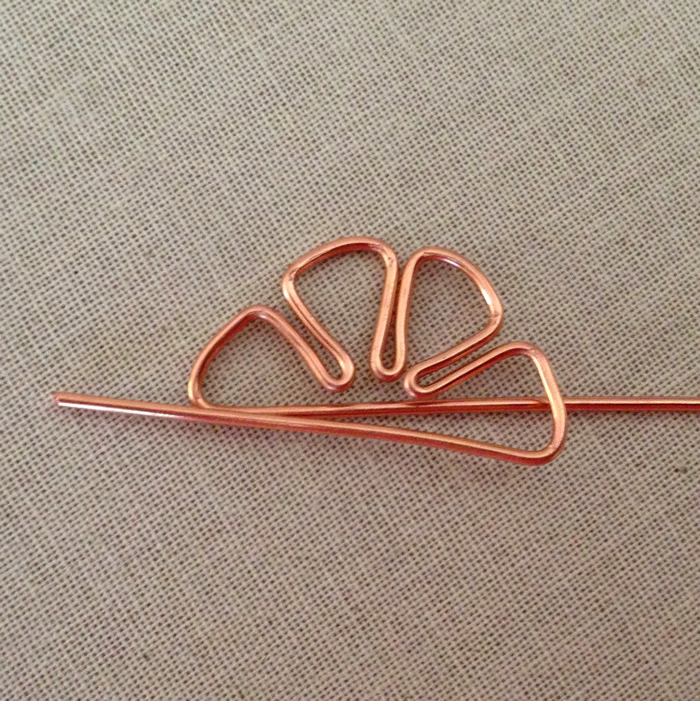 Keep pulling apart the V spaces between the leaves until you have a shape that resembles a clover. You may need to re-shape the leaves at this point, by re-inserting your pliers and squaring them off again. 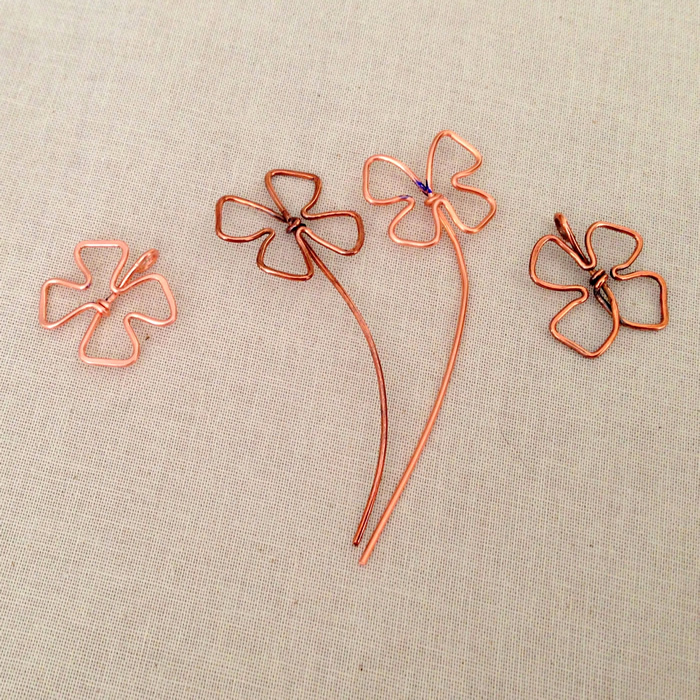 When you are satisfied, mark the wires in the center of the clover. 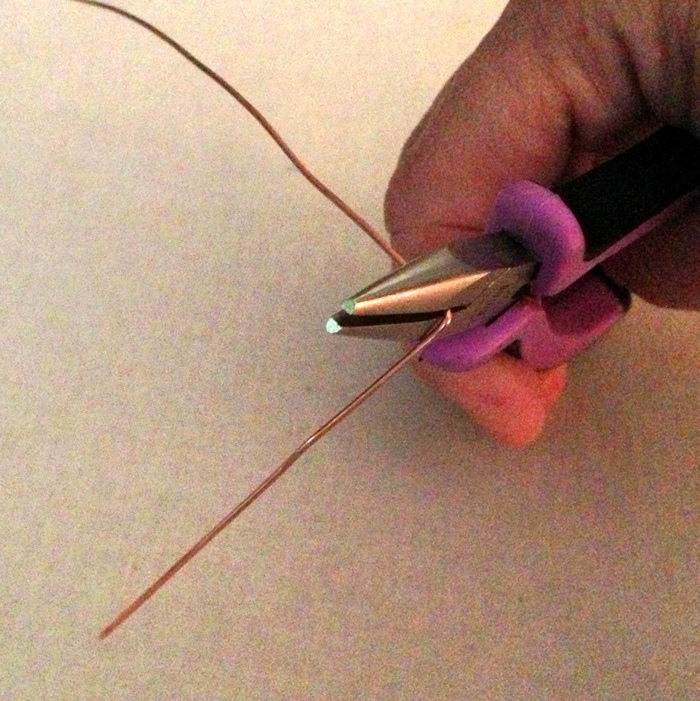 This is where you will wrap one of the wires to secure the shape. 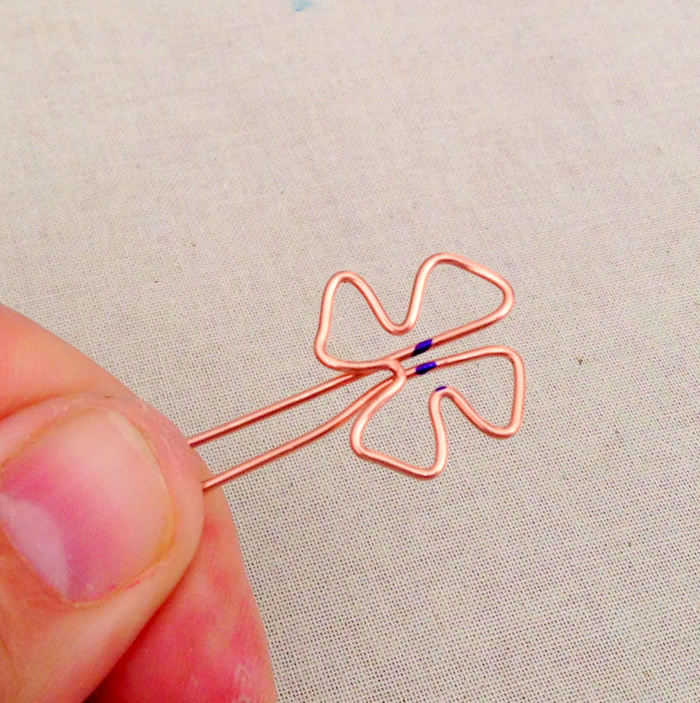 To wrap the wire, you will need to bend them away from the clover shape. 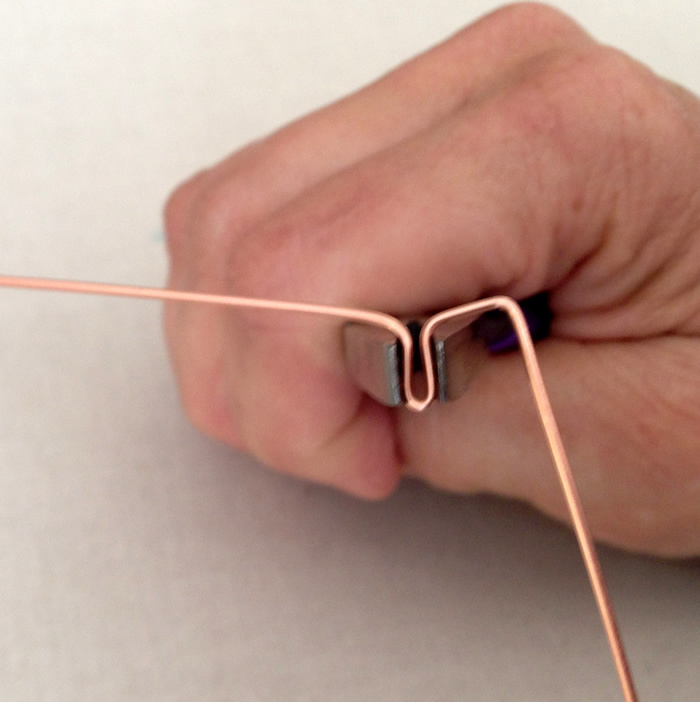 Bend one wire at a right angle where the sharpie mark is. 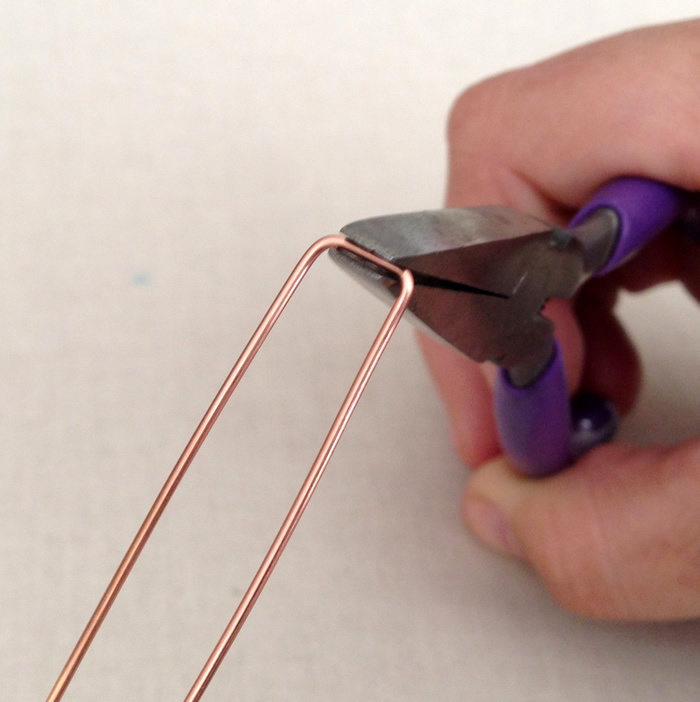 Grasp the wires with your pliers to hold them in place. 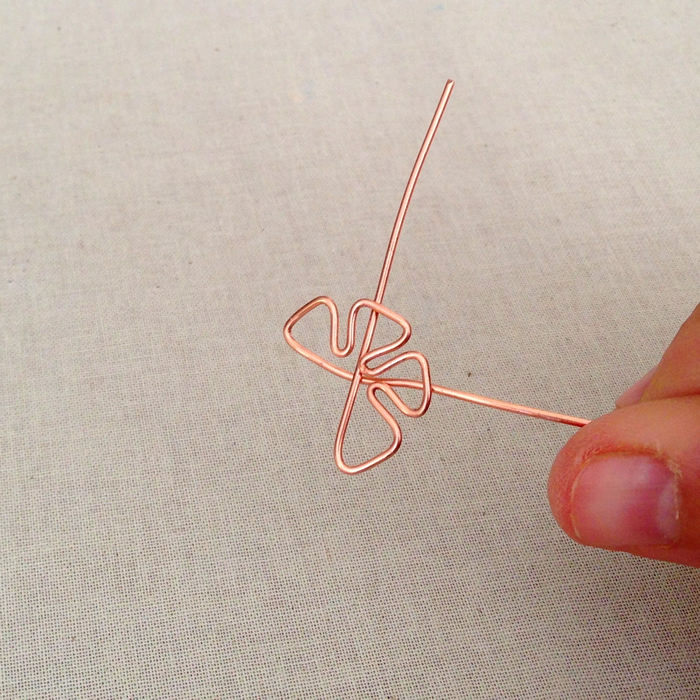 With your fingers, wrap the wire once around. 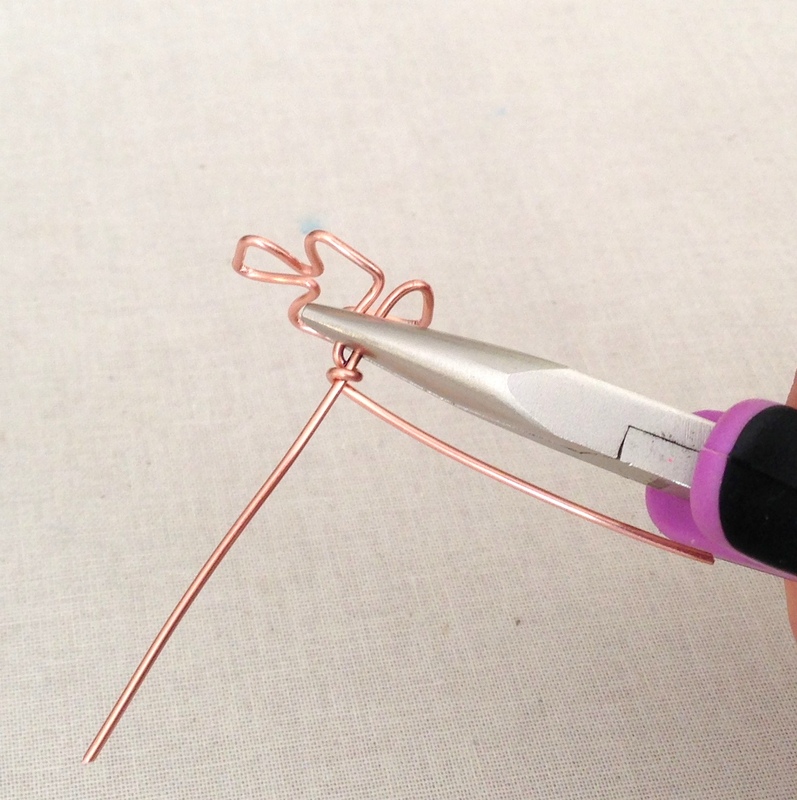 Trim the wrapped wire, flatten the end and file. The last step is to press the wires back into place. It looks like a clover now - doesn't it? Now, decide what you want to do with your clover. You can hammer the leaf ends to add strength, but also because it looks pretty. 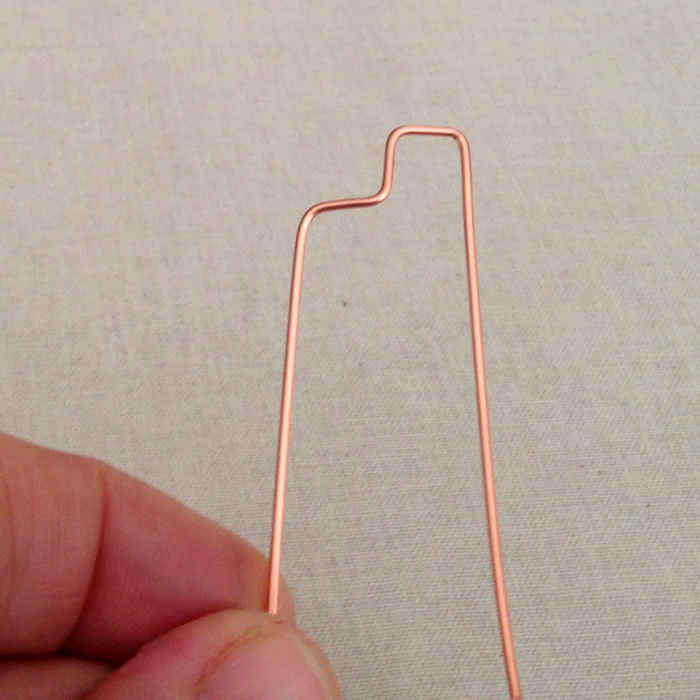 The wire is already pretty work hardened from all the bending. 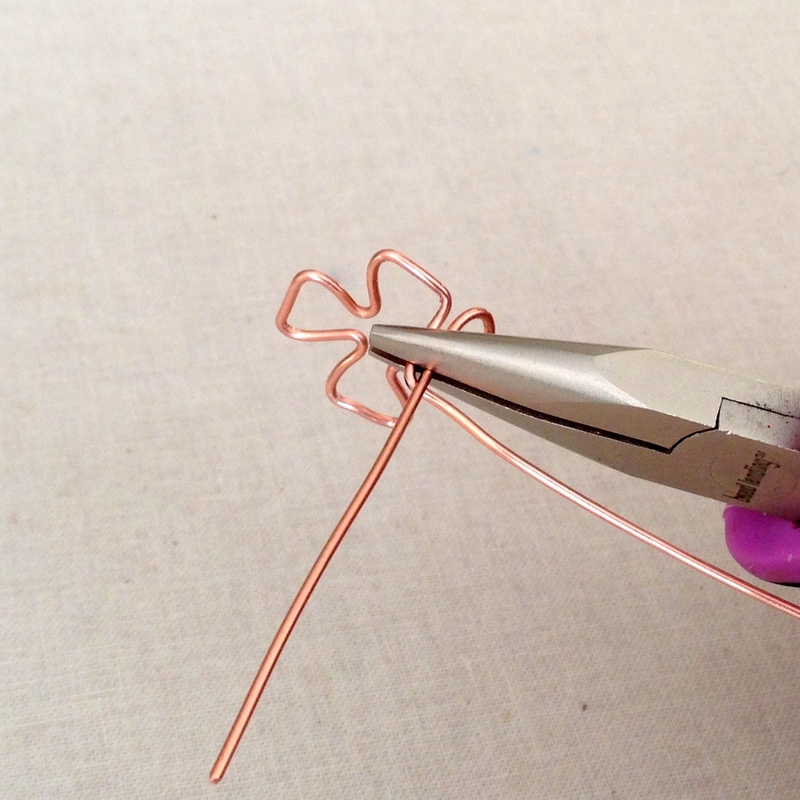 You can make a loop on the step to make a pendant, trim the stem wire and make it into a connector, or make a hook to create a clasp. 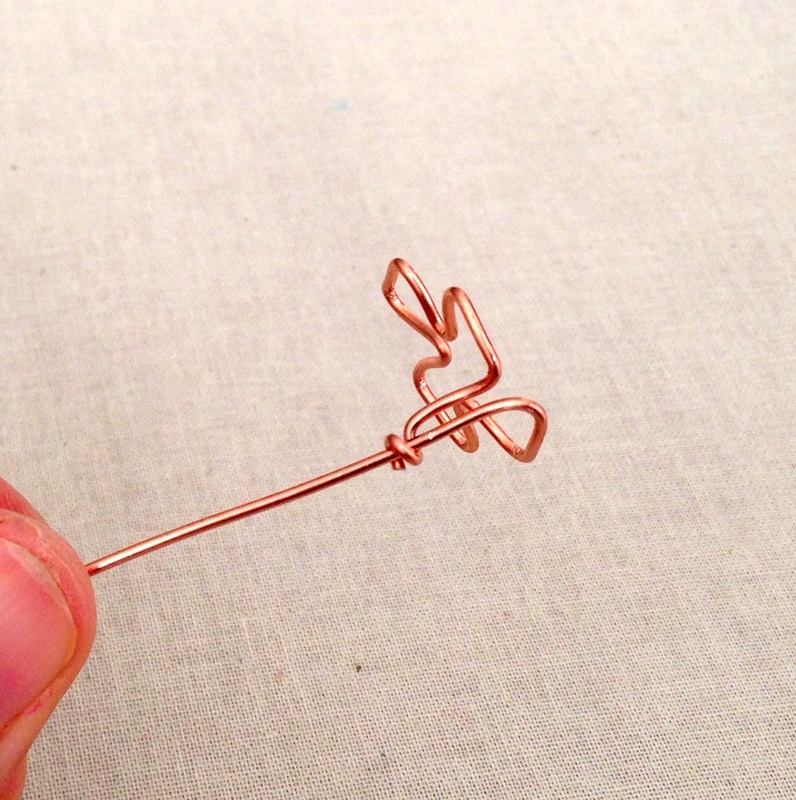 You can also vary the size of the finished wire clover by using larger pliers, or adjusting the length of your steps. The clasp is my personal favorite. I haven't made another horseshoe link bracelet for this clasp yet. I am thinking of a slight variation on the last chain that will make the clasp stand out a little more. 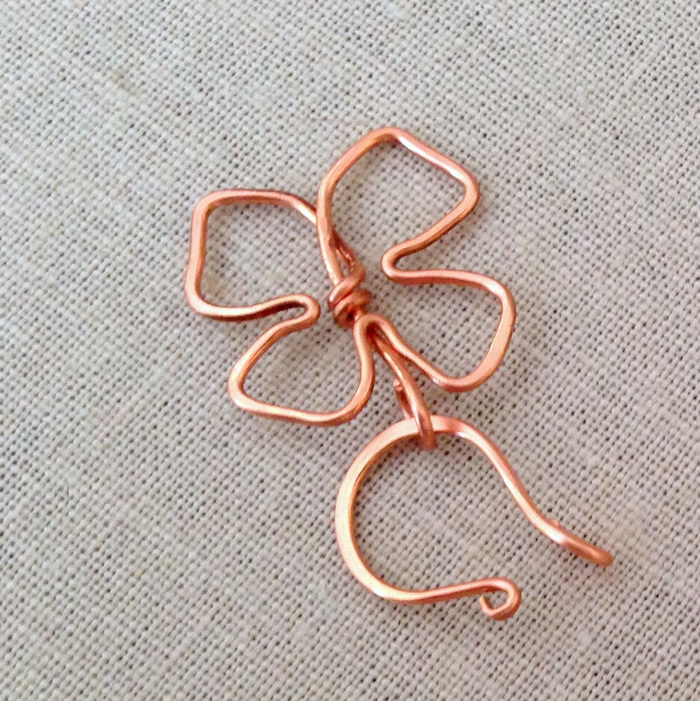 The clover, including the loop, is about 1 inch square. Are these instructions hard to follow? For me, it was very easy to make, but I am amazed at how many pictures I had to take. Simple yet elegant. Nice work!